Belinda has a warm and nurturing teaching style influenced by her ongoing exploration of the many different styles and practices yoga offers. Each student is invited to work at their own level tuning in to create awareness of their body and mind, their strengths and challenges. My classes include a combination of yoga practices including pranayama, asana and guided relaxation. In each of these we begin with basics and build from there to increase the level of challenge to suit each students individual strengths and needs. Belinda has been a yoga student for over fourteen years and has been teaching for nine years. During this time she has taught open, beginners, prenatal, mums and bubs and kids yoga as well as meditation, relaxation and stress management in yoga studios, workplaces, schools, prisons, detention centres and on retreats. 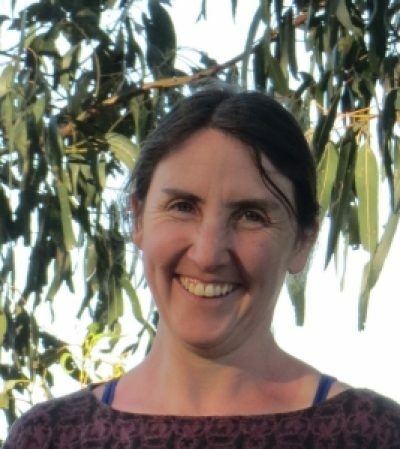 She currently teaches beginners, open, prenatal, mums & bubs and regular workshops at Harvest Yoga, weekly workplace classes at Envato, Community Yoga in Sunshine and three retreats per year at Clearview retreat. She also practices both Thai Yoga Massage and Infant Massage through Harvest Yoga. By combining the physical (asana), breathing (pranayama), meditation and relaxation practices in her classes, she caters to the whole person, providing greater strength and flexibility not only to the body but also to the heart and mind. Belinda’s continuing yoga and life journey is shared on her blog at www.yogatogrow.com.au and with her students in class.